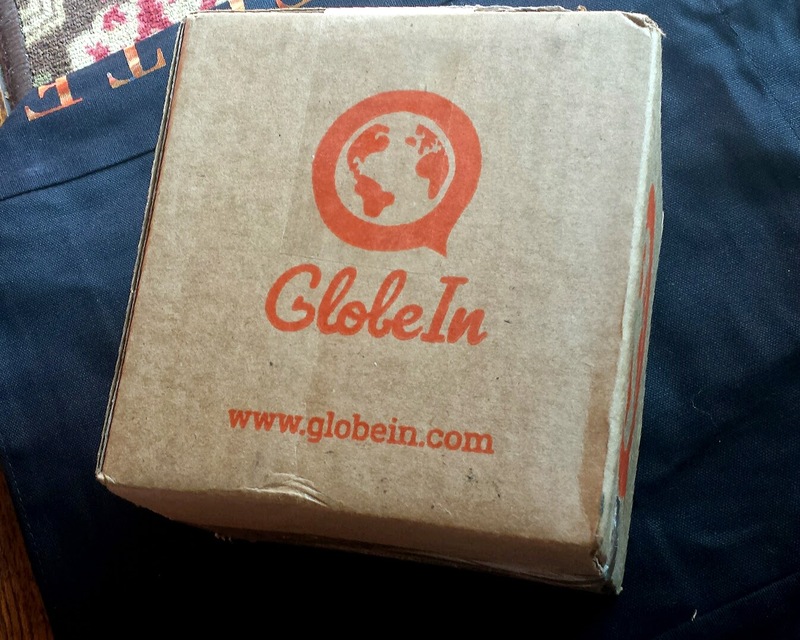 ​ DixieDollsGlow - Subscription Box News & Reviews: October 2014 GlobeIn Artisan Review + Free Box Coupon! 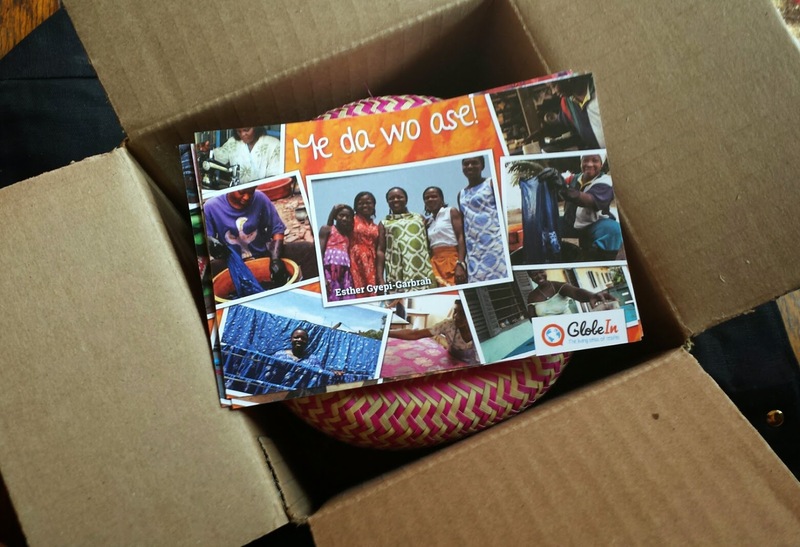 October 2014 GlobeIn Artisan Review + Free Box Coupon! There's a special place in my heart for anything handmade. It's the fact that you have a unique item that someone, Somewhere put so much love and care into each and every detail. It's just so much more personal than some mass produced item. I've been really excited about receiving this box and I already knew I loved it as soon as i popped it open! There are cards about each artisan, giving you their background and how they started up. 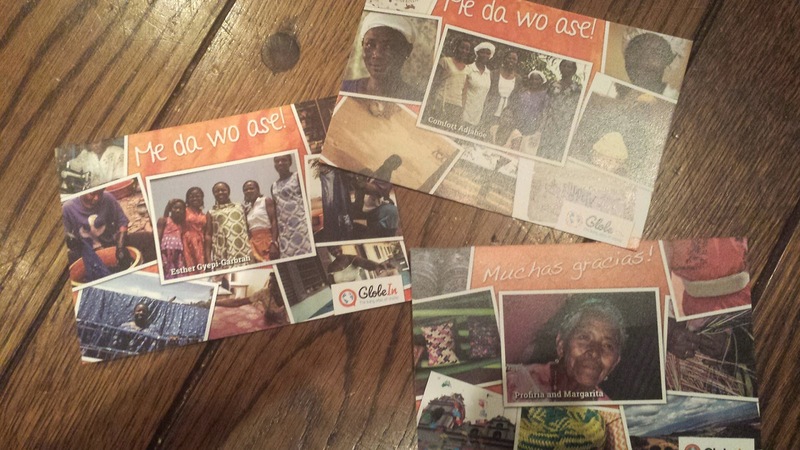 It's truly inspiring to read their stories and know you have supported them with your purchase! 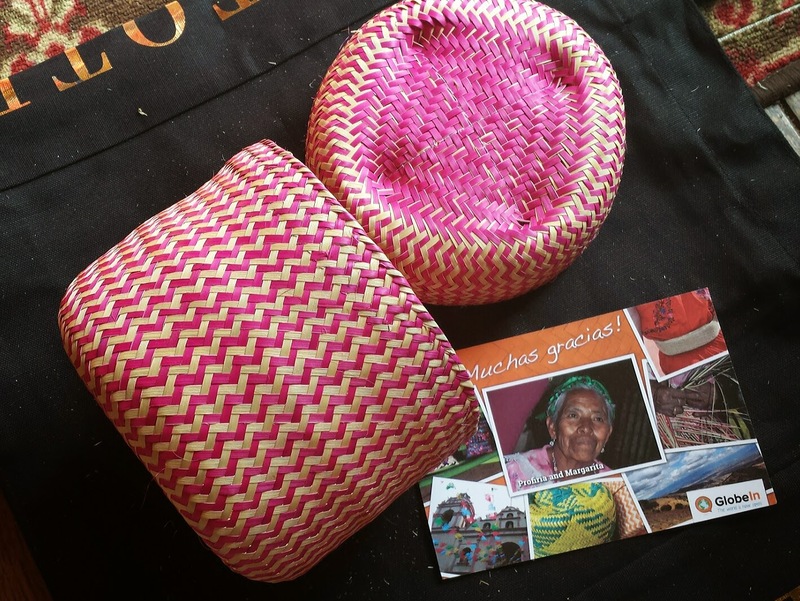 Woven Basket by Profiria & Margarita --- Made in Mexico from techniques handed down through generations. This is a really beautiful basket and has some of the smallest tightest weaving I've ever seen. It's a great size as well! 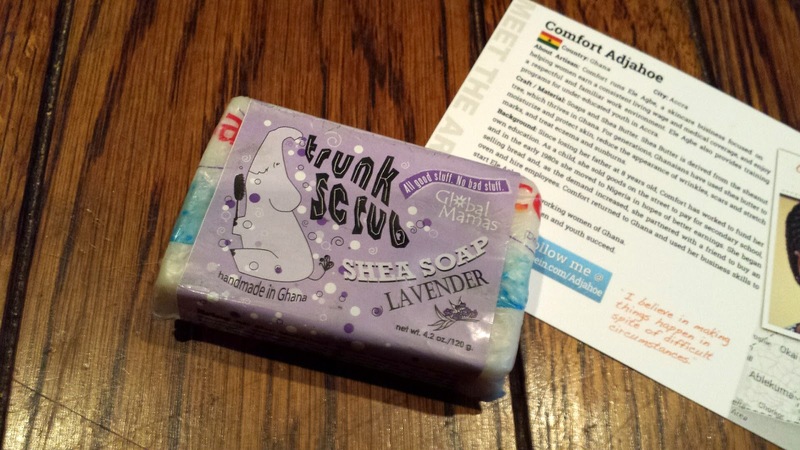 Trunk Scrub Lavender Shea Soap by Comfort Adjahoe --- The woman who made this has a skincare business that focuses on helping women earn a decent pay, have medical covetage, and work somewhere safe in Ghana. Pretty inspiring, huh? And the soap itself is fantastic. That heady lavender scent is intoxicating. 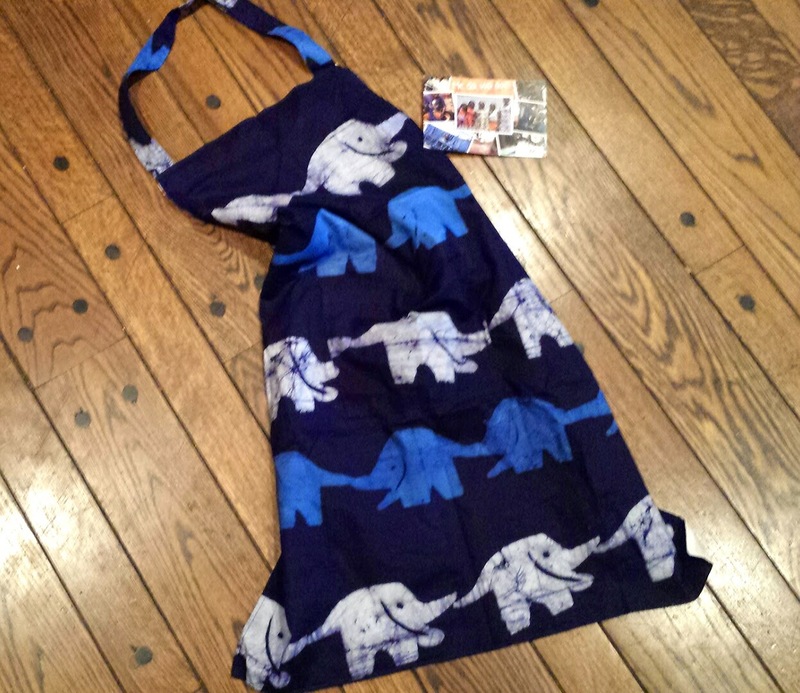 Reversible Elephant Apron by Esther Gyepi-Garbrah --- Esther founded Global Mama's, a fair trade network for women in Ghana. This particular apron is made by two ladies named Aggie & Milly. It's my favorite item and it's absolutely beautiful!! I won't put a value on this box because, honestly, I think it sort of defeats the purpose. Fair Trade and supporting these amazing woman is what really matters. These ladies have taken on the world and it feels good to help support that cause. I loved all the items featured and will certainly keep supporting GlobeIn and Fair Trade Programs! And don't forget that the first box in your subscription is free. Just click here and use code FBFREE! Handmade goodies make you happy? 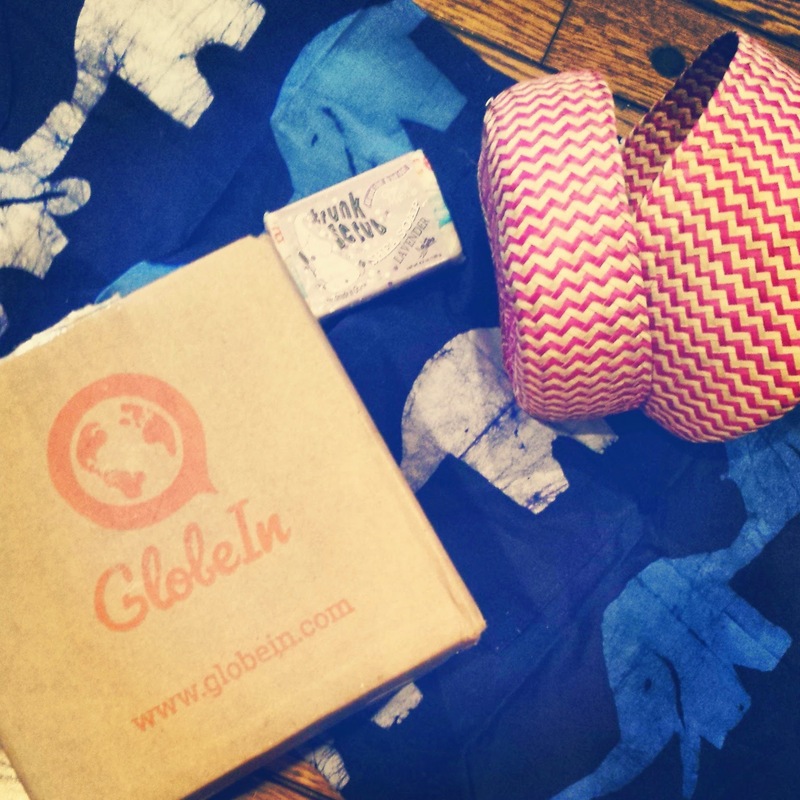 What are your thoughts on the GlobeIn Artisan Gift Box? Share below!